Circus is a tool for the therapeutic process. Children may find the traditional therapy model of sitting in a chair challenging or uncomfortable. 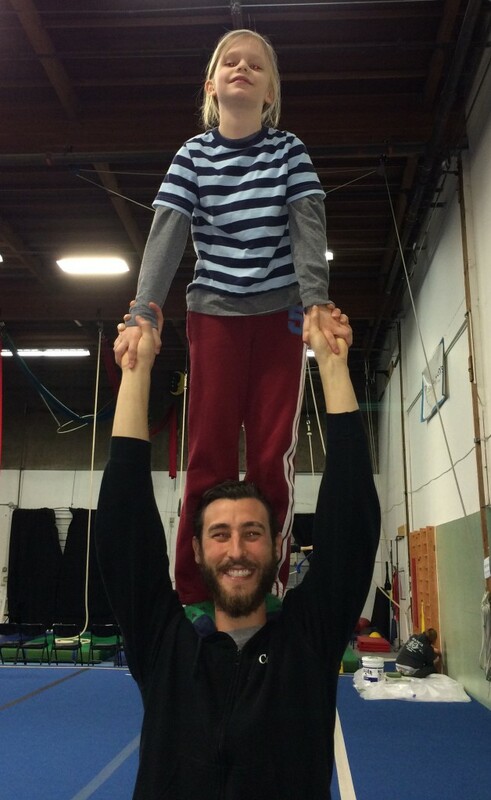 By doing Circus Arts, your child can engage in a fun environment with a language they understand: play. 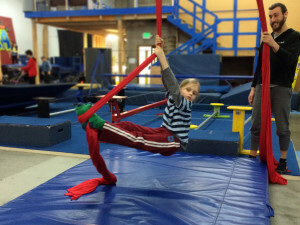 Depending on the child, we can work more directly on what they are struggling with or use circus as a metaphor to tackle what is going on in their lives. You and your child decide how we utilize this tool. Without specific intention Circus on its own provides social, emotional and physical benefits. With therapeutic intention, we can create goals for your child and use the Circus Arts to help your child heal and grow. Potential goals can include: Anxiety Reduction, Confidence, Self-efficacy, Social Skills, Trust, Artistic expression, Sensory integration, Exercise in an accessible environment and Fun! In classes, students gain core strength, balance, and gripping strength. 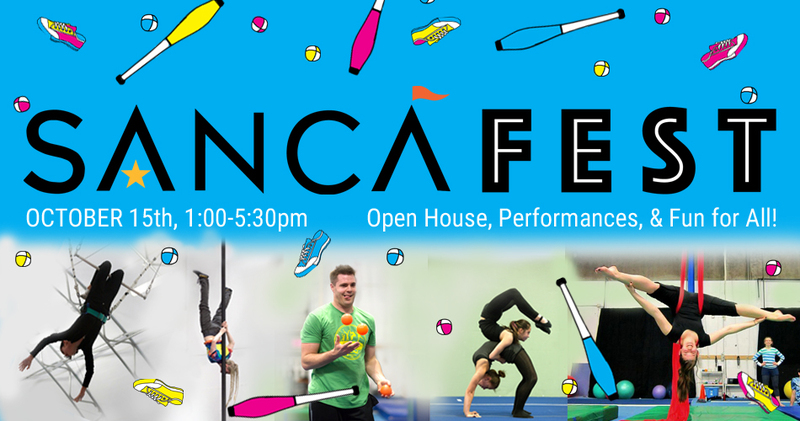 Students try a variety of circus skills, including trampoline, tightrope, juggling, handstands, trapeze, and aerials. Every Body’s Circus (EBC) provides a set curriculum of achievable skill progressions that enable youth to develop physical and social interaction skills. These progressions are adapted to the abilities and needs of the students participating in each class. 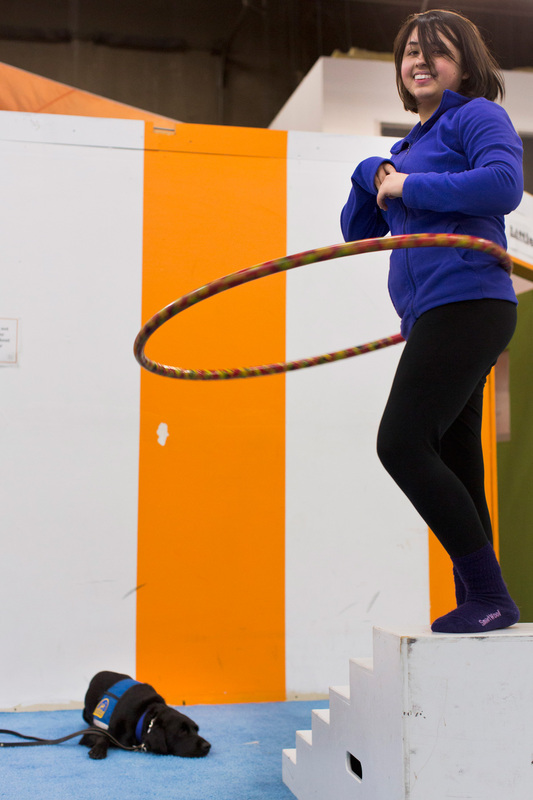 Students in our Every Body’s Circus programs have accomplished amazing proficiency with many circus skills in spite of incredible obstacles, including visual or hearing impairment, stroke, spina bifida, hemiparesis, and more. however this does not guarantee a place on our waitlist. For non-confidential inquiries, e-mail: ebc@sancaseattle.org. We will respond to all inquiries within one week. A first time meeting where you and your student speak with one of our EBC coaches to discuss the services that best fit your needs and what goals and skills you wish to work on. Consultations are free of charge and generally last between 45 – 55 minutes. Tailored individual Circus Arts lessons for youth with physical and/or socio-emotional needs. Each individual lesson is taught by a specially-trained Every Body’s Circus Coach with guidance from our Licensed Social Worker on staff. The emphasis is on physical growth and circus skills acquisition. The Every Body’s Circus program is currently at capacity and unable to accept new students at this time. When space becomes open there will be an inquiry form available under each service. Thank you for your patience! A group of up to three (3) students using Circus Arts as a tool for healing with an emphasis on social skills. Children will be placed in groups based on age and goals. All fees are due prior to the start of the lesson. We accept cash, check and all major credit cards (Visa, Mastercard, AMEX & Discover). DDD Funds – As a DSHS recognized respite care facility, some services can be covered by DDD (Division of Developmental Disabilities) funds, if the client has those funds available. Please let us know prior to your first lesson if you wish to use these funds for services and we can bill to the State of Washington on your behalf. Insurance – Our services cannot be billed to insurance as they are not considered therapy. Feel free to browse our program offerings and learn more about our services.